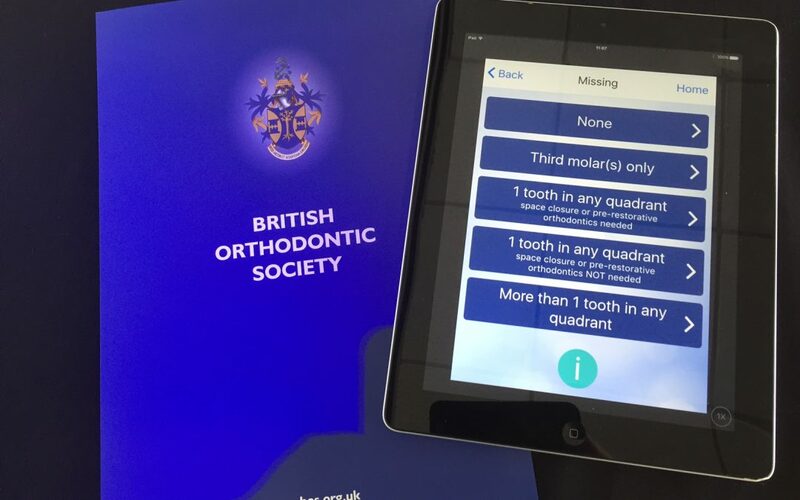 The British Orthodontic Society held a press launch at their recent annual conference in Brighton for their new IOTN app called ‘Easy IOTN’. IOTN stands for the ‘Index of Treatment Need’ and the app is designed to provide a simple tool for dentists to use to determine whether a patient is eligible for referral to an orthodontist and for potential NHS funding for their treatment. The app runs on an iPad or iPhone and can be downloaded for free from the Apple App Store. It is divided into two sections, IOTN scoring and some CPD training on IOTN. I had an opportunity to explore the app at the event and found it really simple and easy to use and was able to easily navigate all the sections leading to a scoring and an indication as to whether a patient should be referred. I downloaded the app to my iPhone when I got back from the conference and have been exploring its functionality over the last few days. The app takes you through a series of questions about your teeth which leads to an overall score about the severity of your malocclusion. So how does this relate to adult orthodontics and private patients? 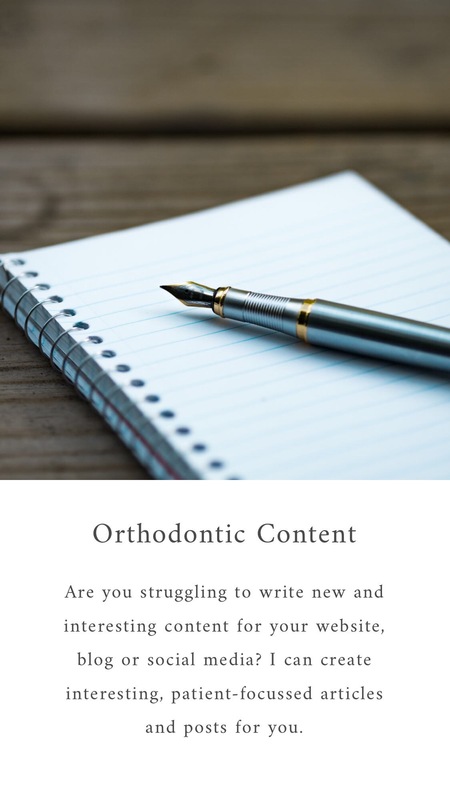 Firstly, I think it is sensible for anyone considering undergoing orthodontic treatment to get a good understanding of their needs first and this app, through a series of simple prompts, helps you to learn more about your own teeth. None of the questions are overly complicated and if you do get stuck, can simply look up the information on Google which will help you to better understand the extent of what may need fixing. The other area of interest is the overall scoring. If you undertake the assessment and it gives you a scoring that indicates you would have been possibly eligible for NHS funded treatment, then you can be fairly certain that a short term orthodontic solution may not provide the treatment you need and maybe seeking advice from an orthodontist would be a sensible option. Whilst this app is not a replacement for seeking advice from your dentist or an orthodontist, it can provide you with an indication of how an orthodontist would assess your teeth and bite which will give you an opportunity to undertake research ahead of your first appointment.